With the number of online casino operators available currently, these companies have to go to great lengths in order to differentiate themselves from the rest of the market. So, if you’re a customer looking for an online casino aim higher when it comes to bonuses. Almost every casino offers some sort of a bonus and some are better than the others. There are different types of bonuses as well. Sometimes, the casinos have bonuses on the first deposits, as the amount of the deposit is matched by a certain percentage that can vary from 100% to, in rare cases, as much as 500%. This means that whatever money the customer will deposit when they open the account will be doubled or more. Some bonuses are sticky, which means that the customer will have to satisfy certain conditions when withdrawing the winnings. We have found some of the top bonuses for Norwegians, offered by reliable online casinos that accept customers from Norway. 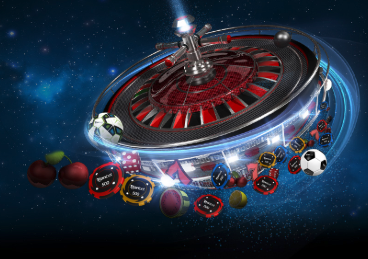 Betway Casino offers bonuses for the new customers. The bonus is optional as well. “100% Match Bonus up to £250 on 1st deposit of £20+. Additional bonuses of up to £250 on 2nd deposit of £20+ and up to £500 on 3rd deposit of £20+. 50x bonus wagering applies as do weighting requirements. Credit Card, Debit Card & PayPal deposits only. Irregular gameplay may invalidate your bonus.,” – describes the company’s website. JackpotCity goes so far as to double the first four deposits. “Get your $1600 in casino bonuses! We’ll double our money on your first four deposits! That’s 4 x 100% match bonuses worth up to 400 free on each deposit,” – promotes the website. Ruby Fortune has a €750 free welcome bonus. The first deposit is matched 100% on up to €250 and the bonus can be used immediately. The second deposit is matched 100% on the same amount as well. The same goes for the third deposit so that a new customer has a chance to get €750 in bonuses in total. River Belle matches three deposits for a total bonus amount of up to $800. Players have 7 days to enjoy the bonus after which it will be forfeited. “If you open multiple accounts you will not be eligible for the Sign-Up Bonus on each account. This and any other Sign-Up Bonus/es are only available once per Player and/or per environment where computers are shared and/or per email address. This offer is not transferable,” – warns the website of the casino. Just Casino has an interesting bonus scheme that goes further than those of the other providers. The steps to obtain the bonus are easy. As listed on the company’s website a new customer should simply “1. Sign up 2. Make the first deposit + select the bonus from the dropdown box at the cashier 3. Instantly get 100% Match Bonus 4. Find 20 Free Spins each day for the next 10 days!” This means that in addition to $1000 which the customer can receive in bonuses, he/she will also get 200 free spins.